Speaking of Brain disguised as a reindeer, as we were the other day, how about checking out a piece of promotional art for the 1992 special Inspector Gadget Saves Christmas? 'Tis the season after all. 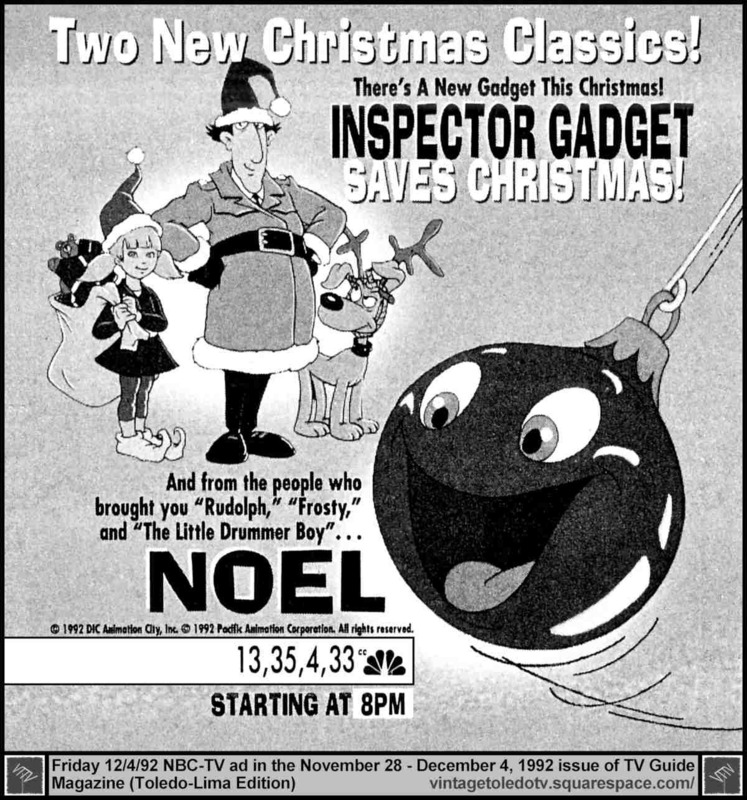 Clipped from a vintage TV Guide, this is a combined ad for Gadget and the concurrent Christmas special Noel, as the two of them premiered back-to-back on NBC that year. 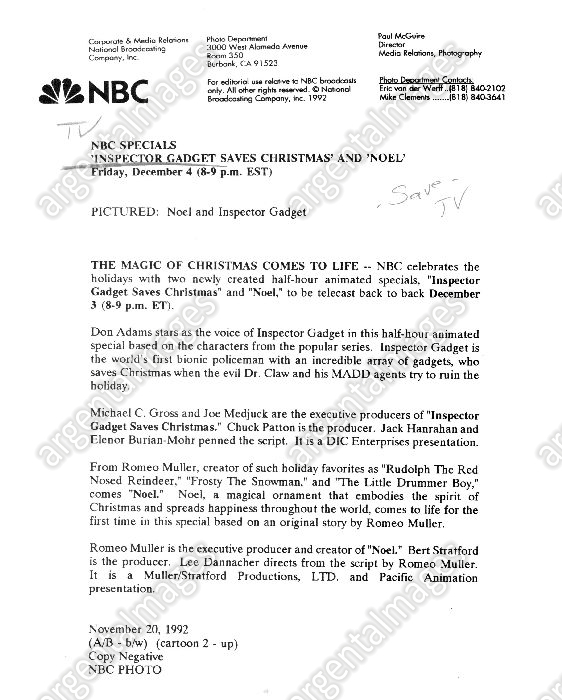 I find this particular promo piece interesting for several reasons. For one thing, it makes the Gadget special look a LOT better and more entertaining than it was. 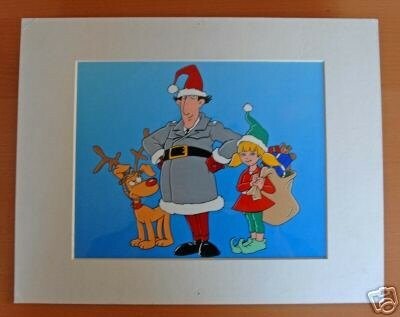 The characters look great, as if we're right back in a 1983 episode; and then there's their seasonal clothing. Penny dressed up as an elf? 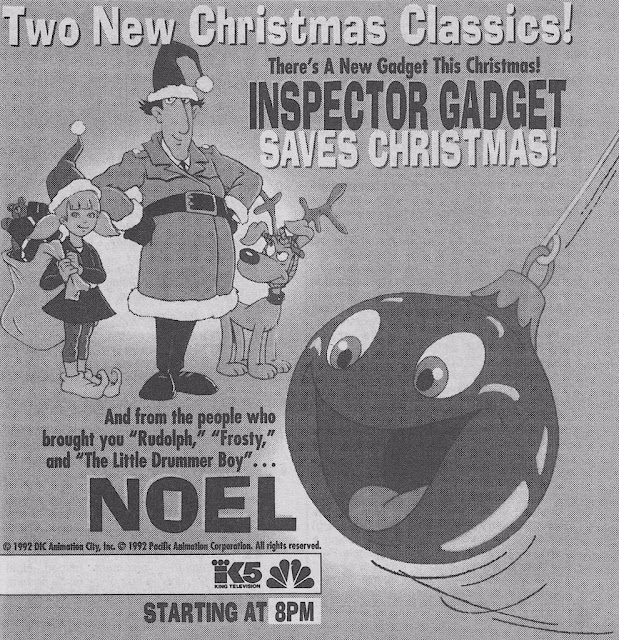 Santa Gadget? Hell yeah... THIS I wanna see! 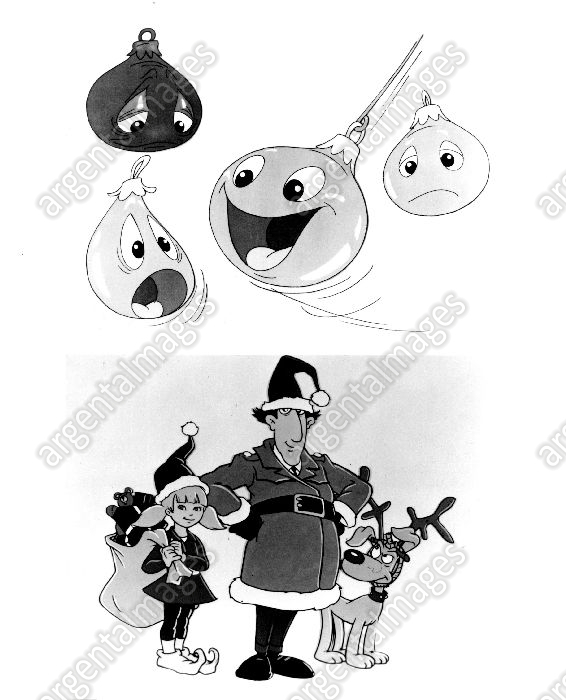 Of course, the actual special gave us none of what this artwork teases, and the crude animation from Hung Long Animation Company couldn't hold a Christmas candle to the original show. Thanks for sharing! Your information you dig up is just a blast to read! You're very welcome, and thanks for your comment! :) It's nice to know I'm not just doing these posts in a vacuum.